Ever lost hot leads simply because they’re on the bottom of the pile of junk leads? For sales department to trust marketing’s leads, lead scoring needs to be a priority. Without it, many hot leads get tossed out with the cold leads. That’s a waste of time, money, and opportunity. 68%of top marketers report lead scoring as most responsible for improving revenue contribution of marketing. 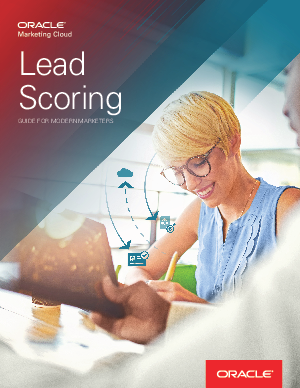 Read this guide for best practices on lead scoring and winning together with sales.